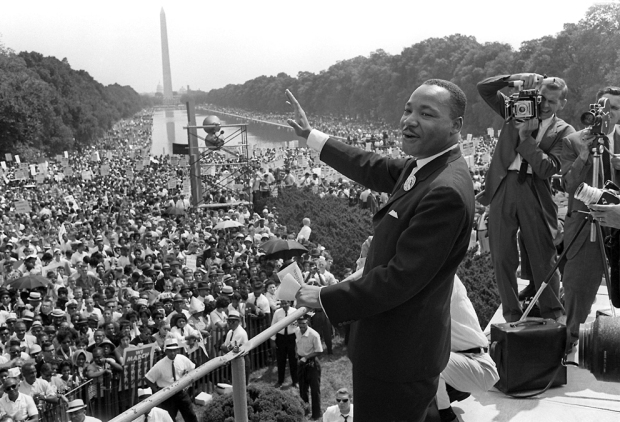 Wednesday marks 50 years since Martin Luther King, Jr. was assassinated. Events around D.C. and across the country are honoring his memory and carrying on his legacy. The A.C.T to End Racism Rallybegan at 7 a.m. with an hour-long silent march from the Martin Luther King, Jr. Memorial to the National Mall, followed by an interfaith service. Then, from 9 a.m. to 3 p.m., a rally and call to commitment on the Mall featured speakers such as Danny Glover, DeRay Mckesson, Louis Gossett, Jr., Yolanda Adams and more. D.C. Mayor Muriel Bowser laid a wreath at the MLK Memorial at 11 a.m.; D.C. Del. Eleanor Holmes Norton also attended. The Initiative to Observe the 50th Anniversary of Dr. Martin Luther King Jr.'s Assassination started at 3 p.m. at Shepherd Park at the intersection of Martin Luther King Jr. Ave and Malcolm X Avenue SE. Speakers will include Parkland High School survivor Demitri Hoth, local gun violence activist Zion Kelly, D.C. Councilmember Trayon White and more. The event included musical performances and a 39-second moment of silence to remember King at 6:05 p.m.
Drummers for Justice held a drumming circle in memory of King at the Reeves Center at 14th and U streets NW from 5 to 7 p.m.
Washington National Cathedral honored King with a Choral Evensong service sung by the Girls Cathedral Choir. 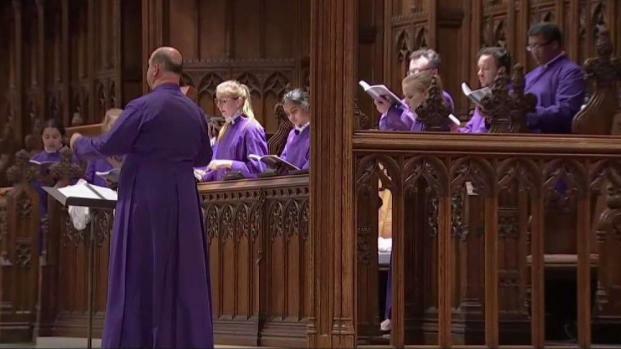 A recording of King's final Sunday Sermon was played from 6:15 to 7 p.m. 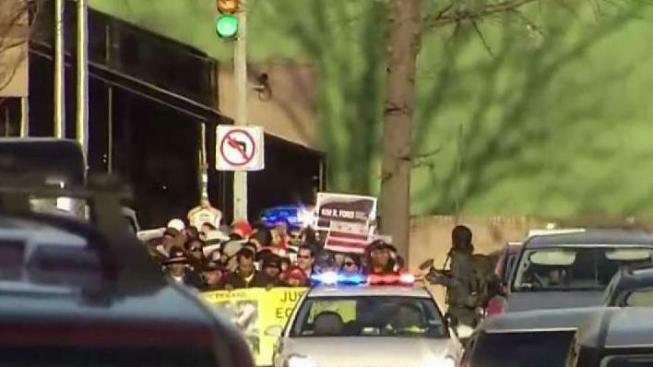 The People's March For Justice, Equality and Peace held a candlelight vigil, and a march will travel from Howard University to Ben's Chili Bowl at 1213 U St. NW. Organizers said the march was in solidarity with Black Lives Matter, immigrant rights, LGBTQ rights and more. The march ended outside Ben's Chili Bowl with speeches and music. Bishop Michael Kelsey, the New Samaritan Baptist Church choir, the Duke Ellington School of the Arts and dignitaries and leaders gathered to honor King's legacy at The Memorial Foundation (633 Pennsylvania Ave. NW) at 6:30 p.m. 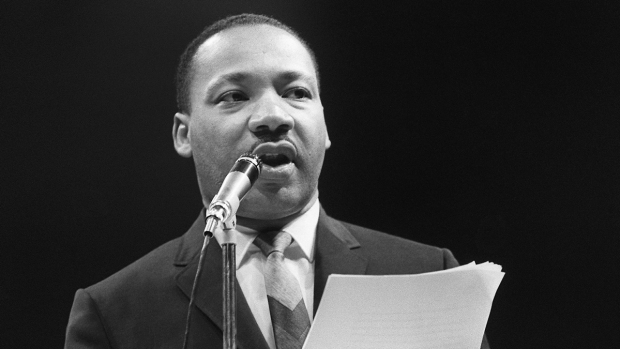 The Washington National Cathedral will hold a special service Wednesday to honor Martin Luther King Jr. on the 50th anniversary of his death. News4's Shomari Stone reports.